When it comes to weddings today, it’s all in the fine details - and brides love to throw in that do-it-yourself touch. We think you will find these DIY decoration and reception ideas worth your time and money! The do-it-yourself wedding trend is on the rise due to today’s crafty and budget-conscious brides. For many couples, creating the wedding decoration and details themselves or involving guests in their big day makes everything more meaningful. When it comes to weddings today, it’s all in the fine details – and brides love to throw in that do-it-yourself touch. There’s definitely no shortage of DIY reception ideas. Make a chalkboard menu for under $20 or create a candy buffet in 5 easy steps. We think you will find these DIY wedding projects worth your time and money! 1. DIY Versatile Centerpiece: You’ll love how you can use this one centerpiece idea for any season wedding! All you need is a glass vase of your choice size and depth and a little inspiration. 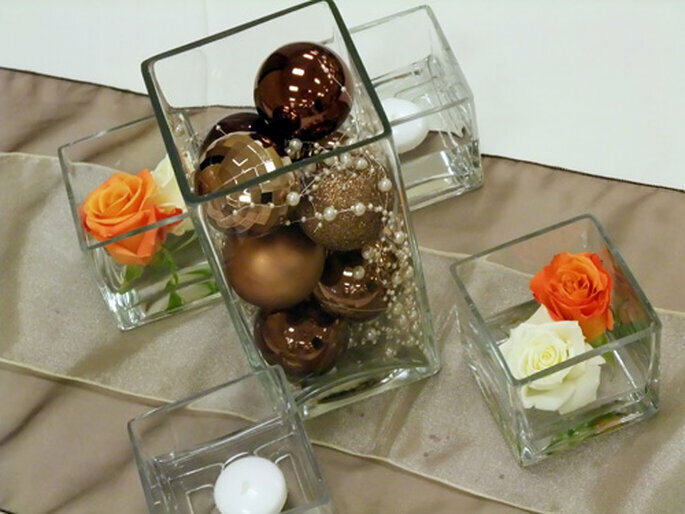 Fill your vase with ornamental balls of your wedding colors, garland or pearls for a holiday wedding look. These holiday balls are so versatile they could work incorporated into a fall wedding as well. Here, a 19″ cylinder vase and a 10″x5″ rectangular vase are shown. If you can, buy the decorative balls in bulk right after the holiday season for a better deal. Perfect for spring or summer, fill your vase with fruit and flowers! 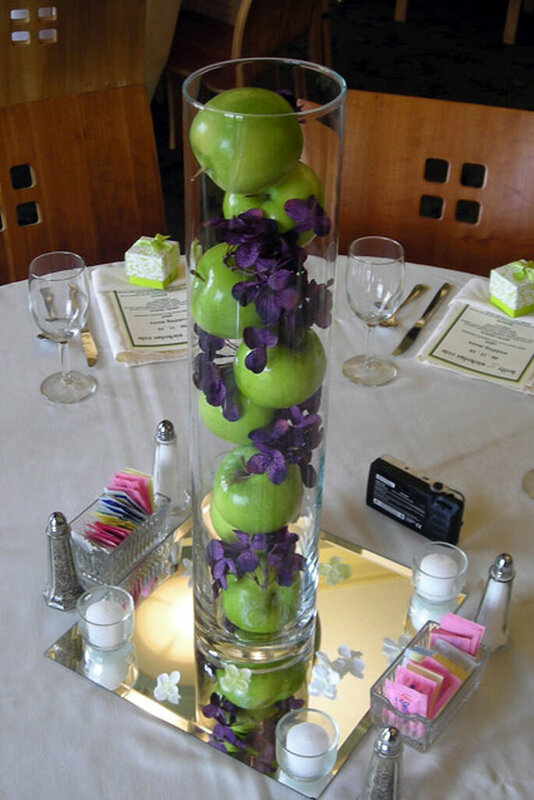 Apples, lemons and limes are colorful and can give your reception a modern and fun feel. A stack of apples and hydrangeas fit nicely in this 19″ cylinder vase. Use over-sized vases filled with your favorite flowers or get creative with your wedding season, location and colors! Sea shells would be perfect for a beach wedding, wheat and lavender would work for a rustic Southern wedding. For more centerpiece inspiration, check out these DIY centerpiece ideas. 2. DIY Chalkboard Sign: This DIY wedding chalkboard is easy and versatile. Convert an antique frame into a sign and use it to display at the reception. After the wedding, hang it in your kitchen as a menu board. 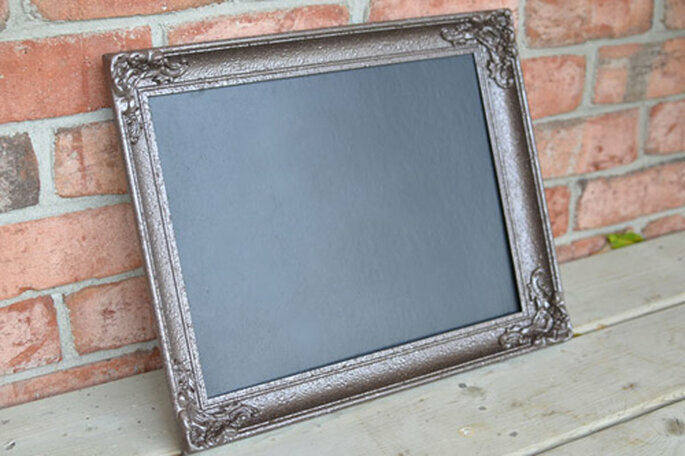 You will need: antique frame, spray paint (if desired) and chalkboard spray paint. You can find a cheap antique frame at a flea market. This framed painting was just $5 at a local thrift store! Remove the glass, photo and backing from the frame and spray paint your desired color giving it two coats and letting it dry overnight. Make sure the backing is sturdy and smooth, and keep it. This is what you will use to create your chalkboard. 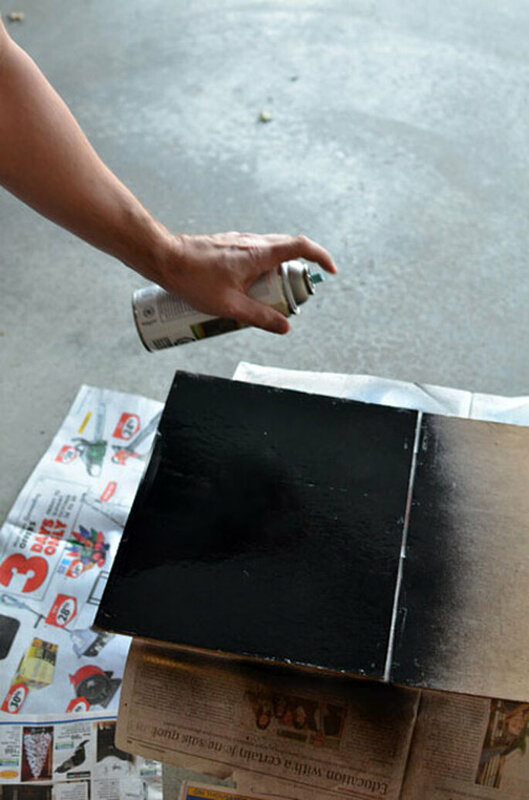 Spray backing with chalkboard paint according to instructions on can. Give it two coats and let it dry overnight before putting the frame back on. Use this piece of art as your reception menu board, a message board or as a display sign. Check out the full DIY project from Intimate Weddings. First, select a color palette or theme. Two colors typically work best; some brides choose a pattern instead. Next, you will need to go candy shopping. 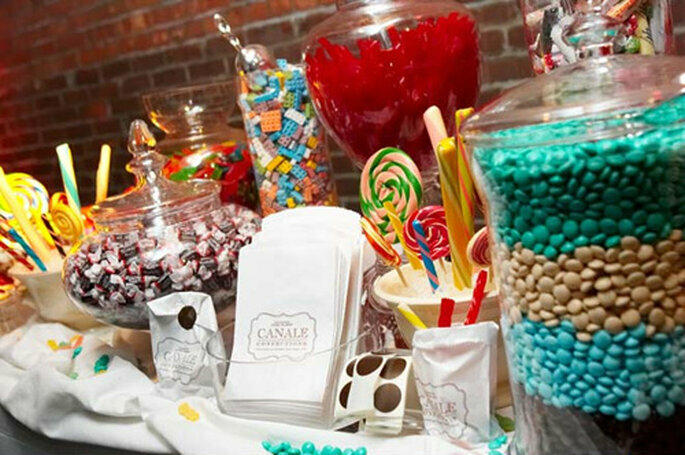 Candy Warehouse has an amazing selection of candy and colors tailored specifically for wedding candy buffets. 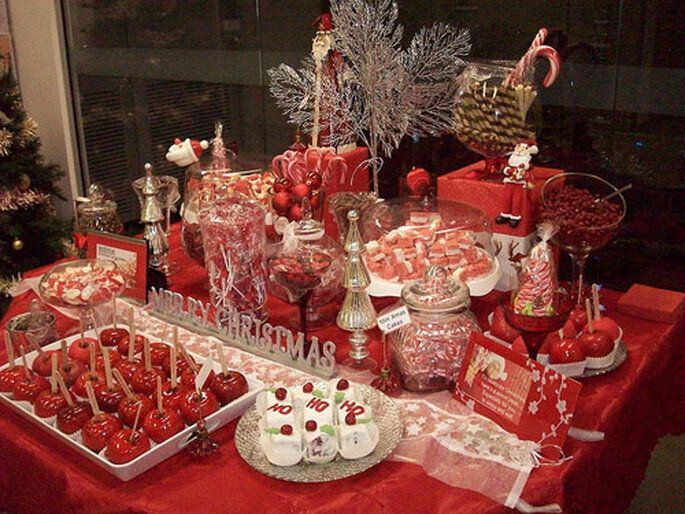 Then, select glass jars, vases or containers to place the candy in. We love these traditional glass apothecary jars! Mix and match the glassware in various shapes, sizes, and depths. 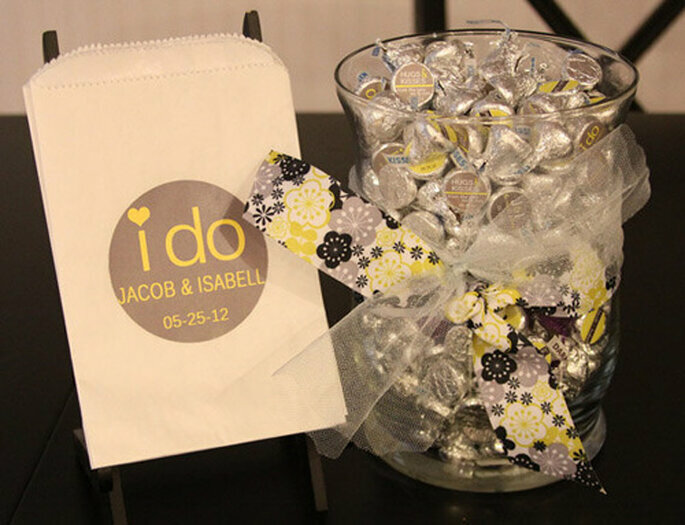 Next, buy or make candy buffet bags complete with personalized labels. You can find these bags pictured on the fourbugsinarug Etsy page. 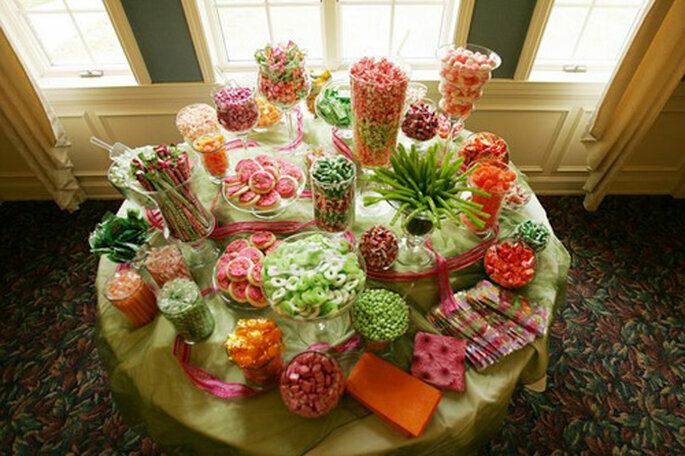 Lastly, create a sign for your wedding buffet. 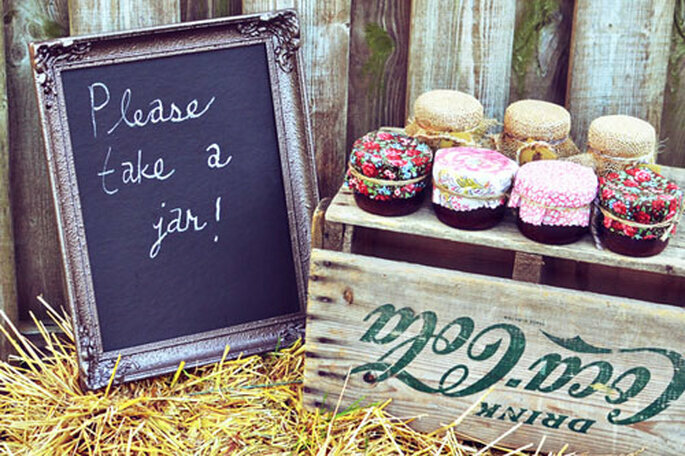 The DIY chalkboard project would make a perfect sign listing all the candies available to guests! Not a candy fan? 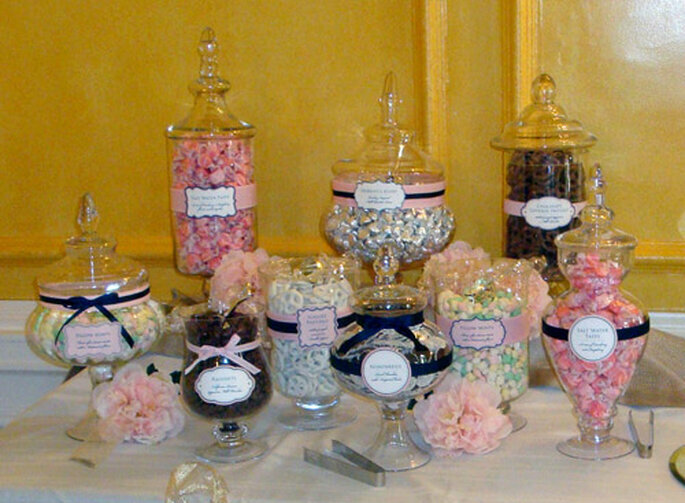 Try a yummy popcorn, cookie or pie buffet alternative! Buy fortune charms, ribbon or paper fortunes and attach them to eight or so mini bouquets made with a few flowers each. This DIY bouquet project guide will help you put together the bouquets. 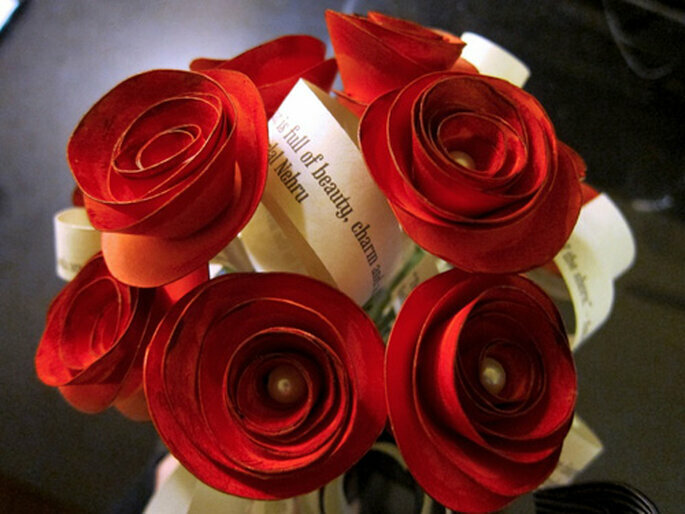 After the mini bouquets are made, tie the fortunes to each bouquet. 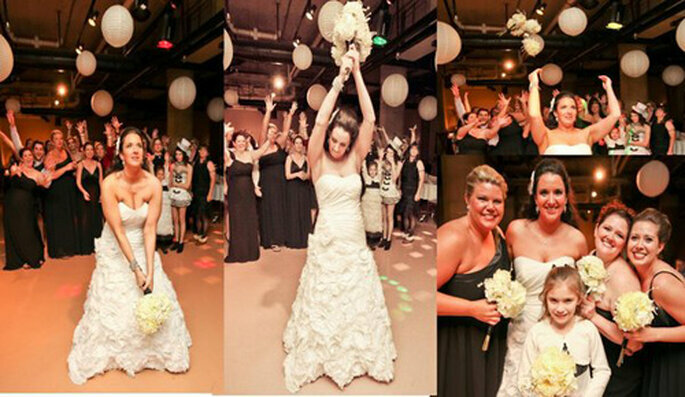 When you hold it for the toss, it looks like one large bouquet, but when you toss it in the air, the bouquets will separate and many lucky guests will catch them. No need to single out any of your guests – all the ladies can participate in this one! 5. 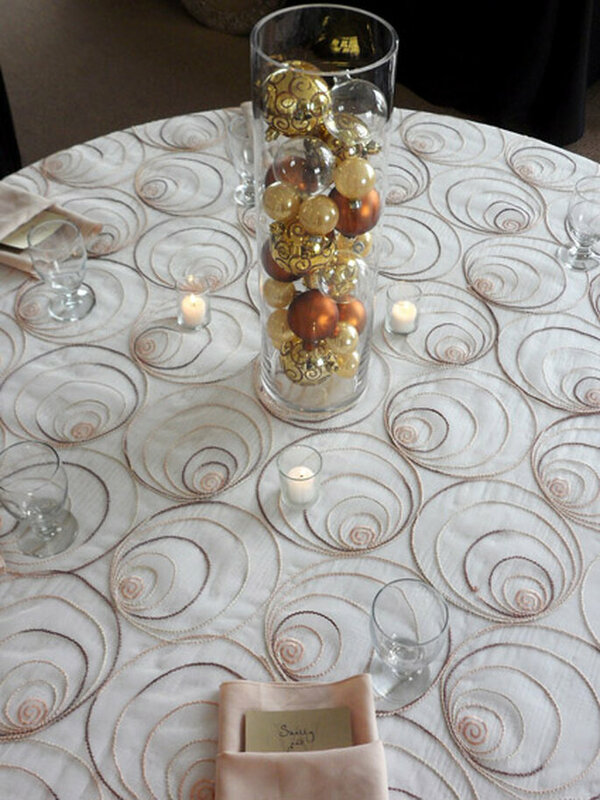 DIY Toss Table: Put a modern spin on the traditional bride and groom rice toss with a DIY wedding toss table for your guests! Set aside a table for guests to fill a tossing cone, bowl or box with herbs, confetti, petals or traditional rice (though we suggest you skip the rice). Jazz it up with cute signs for each toss option. Your guest will enjoy having a part in the reception and tossing their creations on you as you make your exit. For more inspiration, check out other ways to make your exit memorable. By nature, weddings are extremely personal events. Today’s couples are making their big day even more memorable with DIY wedding ideas that show off their individuality and creativity. Are you a DIY Bride? What DIY projects are you planning for your wedding? We’d love to know in the comment section below! Getting married soon? Already tied the knot? We want to hear about it! Take our International Marriage Survey for a chance to win an iPad from Zankyou!